If you have been arrested, or if you are facing police questioning, you may wonder what your next steps should be. The most important thing to understand is that you have the right to remain silent and that you have the right to ask for a lawyer. The Tijerina Law Firm, P.C. are criminal defense attorneys in McAllen, Texas who can stand beside you every step of the way if you are facing police questioning or criminal charges. We can sit with you and advise you if police want to question you and we can review any evidence against you to see whether the evidence was gathered fairly and properly. Navigating the legal system after criminal charges have been filed against you can be a complex process. It is important to understand that a criminal charge is different than a criminal conviction. You are innocent until proven guilty and have a right to have your day in court. The attorneys at Tijerina Law Firm, P.C. are former State Prosecutors that will give your case the time and attention you deserve and will make a difference in your case. The attorney will review all evidence against you, help you understand the consequences and benefits of a plea deal, and possibly help you get charges reduced or dismissed. The consequences of having a criminal record can be immense. You could face time in jail, could face fines, and could also suffer some of the collateral consequences of having a felony or misdemeanor on your record. When so much is at stake, you need the criminal defense lawyers at the Tijerina Law Firm, P.C. in McAllen, Texas. What Should You Do If You Are Arrested, Charged with a Crime, or Are Facing Police Questioning? Any encounter with the police can be very stressful. Police may use a range of questioning tactics to get information from you, especially if they believe that you committed a crime or know something about a crime. Police may understand that people who are stressed or worried may be more likely to speak—especially if you are innocent and are trying to prove your innocence. Unfortunately, anything you say to police officers can later be used against you in court. So, what should you do if you are arrested or are facing police questioning? First of all, know your rights. You have the right to remain silent. You may need to tell police that you want them to honor your right to remain silent. Be polite, but understand that you do not have the obligation to answer any questions. However, you may be required to provide your name to officers if they ask. Beyond this, you can remain silent and ask to speak to your lawyer. If an officer asks to inspect your car or property, understand that officers must have a warrant to do this legally. However, if you give an officer permission to search your home or car, you may give up important rights. If you are not under arrest and police want to speak to you or ask you questions, you may refuse to answer any questions and request to leave. If you are under arrest, however, you have the right to ask to speak to your lawyer. You can call the Tijerina Law Firm, P.C. in McAllen, Texas. If the police continue to speak to you and ask questions you need to assert your rights to remain silent and request an attorney. 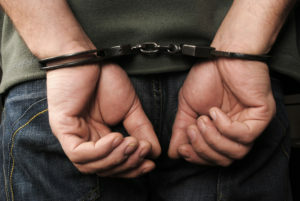 If you are facing criminal charges you need an attorney that will fight for you. Call the attorneys at Tijerina Law Firm, P.C. who will represent you from your arrest to the disposition of your case. Your attorney will review the evidence and discuss the best way to resolve your case. Hire the Tijerina Law Firm, P.C. to review the facts of your case and the evidence against you. Sometimes evidence may not have been properly handled or may be dismissed upon further scrutiny. In this case, your charges could potentially be dropped or reduced. Before accepting a guilty plea, speak to the Tijerina Law Firm, P.C. in McAllen, Texas. A criminal conviction will have major consequences on your life. For example, having a criminal record could impact your ability to seek certain federal or local benefits and it can also effect your employment. Know your rights before pleading guilty or speaking to police. Our firm can review the evidence, see whether officers made any errors, and fight to help you get the best possible solution under the law. There may be other options available to you other than jail for certain crimes. The Tijerina Law Firm, P.C. 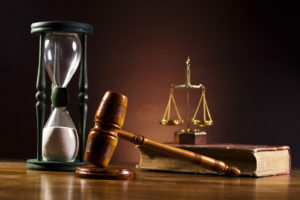 will assist you through the legal system for the best outcome in your case. Regardless of the charges you are facing, you have rights and are innocent until proven guilty. Speak to the Tijerina Law Firm, P.C. in McAllen, Texas today to get a thorough case review. If you were arrested and had your criminal case dismissed or placed on deferred adjudication the attorneys at Tijerina Law Firm, P.C. can assist you in determining your eligibility for an Expunction or a Non-Disclosure. Contact our Law Firm to assist you in cleaning up your arrest record. You deserve the best representation possible if you are facing criminal charges. The Tijerina Law Firm, P.C. in McAllen, Texas are committed to helping individuals navigate the criminal justice system if they are facing charges. Let us review your case and help you navigate the path forward.